The word ‘strategy’ was not a common military term used during the late 18th century. Nevertheless, the concept of “a high level plan to achieve one or more goals” was a reality that senior ranking military leaders and politicians were forced to come to grips with during any extended conflict. Washington’s strategy to achieve victory and independence over the preeminent world power was a complex and evolving one. How would this American General cobble together the resources of a loosely aligned group of states while coordinating with a French empire whose goals and priorities did not necessarily align with his? What was his strategy? In order to complete our comparison of Washington and Napoleon, we turn our focus on how Washington’s strategic objectives shifted as a result of events at the onset of The Revolutionary War. At the beginning, Washington sought to meet the enemy on equal terms. This unrealistic ambition sprung from the General’s aggressive style as well as his need to achieve a military victory that would draw international recognition for the American cause. Unfortunately, this dangerous strategy lead to a series of disastrous defeats that forced Washington to shift his strategic thinking. Washington’s desperate yet victorious surprise attack at Trenton in the winter of 1776 was less a military victory than a moral one. But this battle was just the beginning of a series of battles fought by Americans who sought to demonstrate resilience and courage regardless of victory on the field. To be sure, Americans sought to take victory on the field of battle, but Washington also understood the importance of moral victories within the context of a social and political Revolution. With the surprise attack at Trenton successful, he managed to secure his shaky grip on military power and began to tilt his focus to keeping the Continental Army in tact. 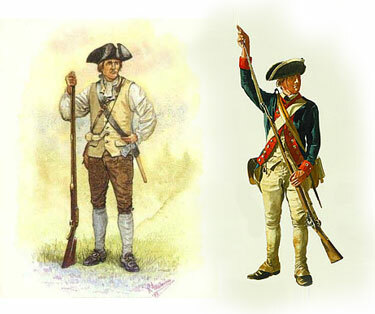 As went the Continental army, so went The Revolution. A glorious cause, no matter how well articulated and understood, would only take men so far in a time of war. This crucial fact was most evident in the behavior of militia. Events would prove that Militia were unreliable at best. This reality drove Washington to build a professional army that could stand toe to toe with the British. A well trained, supplied and compensated professional army would outlast and outperform any inspired group of underpaid and undertrained militia. In addition to building a professional army, Washington cultivated a sophisticated political and social strategy to gain the upper hand. While British arrogance and brute force repeatedly tripped up their efforts to garner support for the crown among the average American, Washington coordinated with Congress and insisted that farmers and other military suppliers be appropriately compensated for their contributions to the army. The average citizen and even prisoner of war was be treated with consideration, respect and fairness (captured Hessians were shocked to find they would be treated humanly). No one knew as well as Washington that the glorious cause of The Revolution was a strategic asset that could be tarnished if he and his army acted in the ruthless manner of an army that simply just took what it needed. Perhaps the greatest trait that contributed to Washington’s strategic ability was his flexibility. He was never so hard headed as to completely ignore the ephemeral realities of war. Things changed, and alterations in strategy must follow. This flexibility allowed him to alter plans at the last minute in order to bring to bear the combined power of the French and America forces at Yorktown. Few realize the monumental effort and logistical expertise involved in coordinating a land and naval assault between America and a somewhat uncooperative French ally. Washington’s master strategy to cultivate and maintain the Continental army while gathering support both locally and globally for the American cause proved to be a recipe for victory over one of the greatest Empires in world history. A flexible and capable leader, Washington learned to replace his aggressive tendencies with the strategic admixture of caution, diplomacy and well timed aggressiveness. The American Revolution proved to be eight long brutal years, but by its conclusion Washington proved himself to be, in the words of James Thomas Flexner, America’s “indispensable man”. 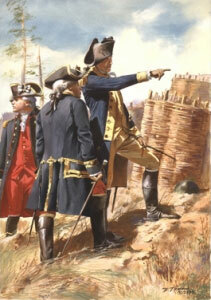 For more on Washington’s strategic ability, check out George Washington’s Military Genius.